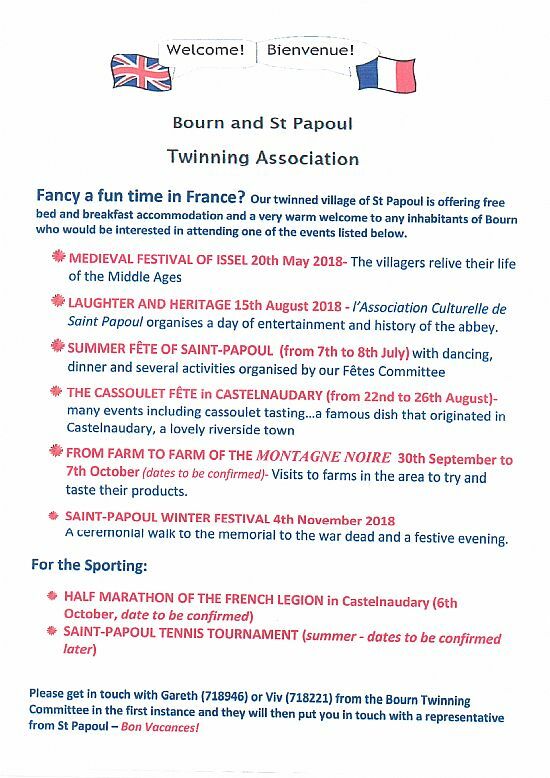 The village of Bourn has been twinned with Saint Papoul, in the Languedoc Roussillon region of France, since 2012, following the signing of our Twinning Charter in our respective villages. 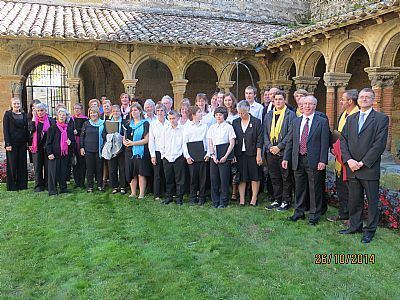 Our main aims are to encourage exchanges that promote an understanding of each others' community. Thus far our exchanges have concentrated on cultural and sporting events. 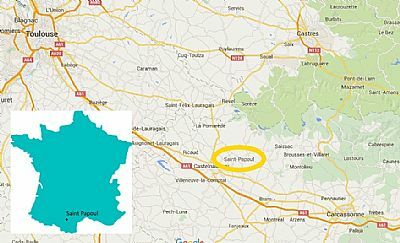 There's a short article here from one of our villagers who visited St Papoul in 2012. 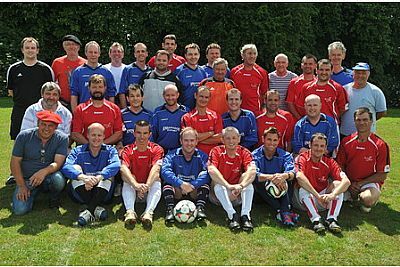 ..... and a senior football match between our villages on Bourn Jubilee Recreation Ground. RED, RED WINE – AND WHITE!! 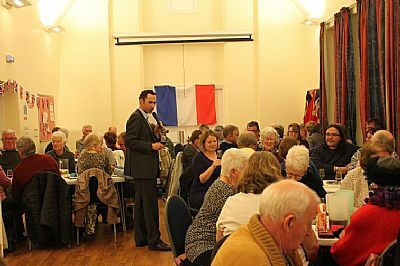 The Twinning Association would like to thank all those who came to the Village Hall on Friday 4th March 2016 to sample wines from the Languedoc-Roussillon. There are obviously a large number of wine lovers in Bourn and the surrounding villages as the hall was full to capacity, with over 80 people attending. David Aldridge, our very own oenophile, expertly explained the five wines and then invited people to score them, the winner being one of the reds, a 2014 Mas de Cynanque Fleur. Everyone then tucked into a ploughman’s supper along with a fun quiz. We’re pleased to announce that we raised a fantastic total of £630! Each year we organize fund raising events as well as attending the village fete and Xmas Fayre.